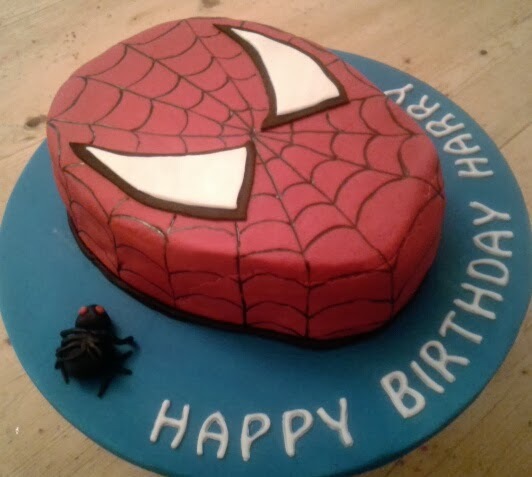 A birthday cake for a three-year-old who loves Spiderman (and dinosaurs... it was a toss-up between the two!). Design inspired by (actually pretty much copied from) Jane Huntley's blog. Fondant icing and BRILLIANT edible icing pen (saved me A LOT of time!) from Decorative Supplies, Enfield.